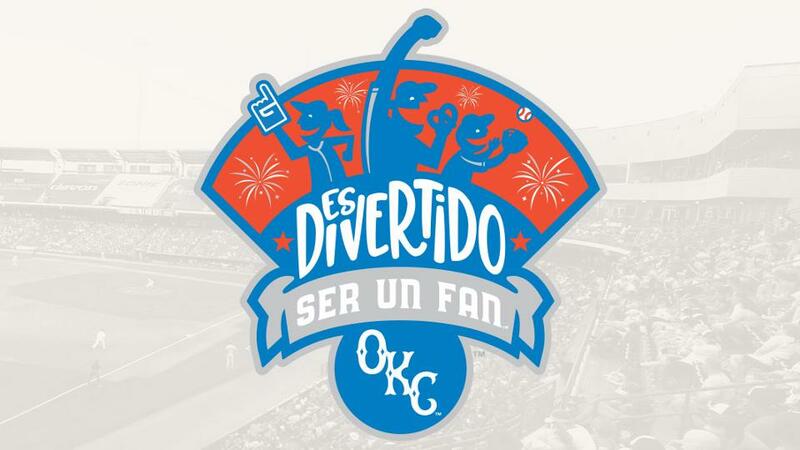 OKC Dodgers to Participate in 2018 "Copa de la Diversión"
OKLAHOMA CITY - The Oklahoma City Dodgers will be one of 33 teams across Minor League Baseball® to participate in the 2018 "Copa de la Diversión," or "Fun Cup," to better embrace the cultures and values of U.S. Hispanic/Latino fans in the community. "Copa de la Diversión" is part of MiLB's "Es Divertido Ser Un Fan®" ("It's Fun to Be a Fan™") campaign that initially launched in 2017. Among the goals of the campaign are celebrating each community's multi-cultural fans and creating a culturally relevant gameday experience through music, concessions and promotions. "Looking at the demographics of Oklahoma City compared to the demographics of our fan base, we recognized there was a gap to narrow with regards to the Hispanic/Latino community," said OKC Dodgers President/General Manager Michael Byrnes. "During this offseason we've worked with key members of the Hispanic/Latino community to address this and implement changes into a series of games in 2018." As part of "Copa de la Diversión," the Oklahoma City Dodgers will adapt an alternate identity and on-field moniker for a total of eight home games to more closely align with Oklahoma City's Hispanic/Latino communities. The Dodgers will host these special games against other teams participating in the campaign: May 31-June 3 vs. Omaha and July 27-30 vs. El Paso. The Dodgers will announce their alternate identity during a public unveiling March 20. Details of the free event will be released in the future. After the 2018 season is complete, the Dodgers will auction their special "Copa de la Diversión"-branded jerseys and caps with proceeds benefitting a local non-profit Hispanic/Latino-focused organization. A total of 33 teams across 19 states will participate in "Copa de la Diversión" in 2018, including nine of the 16 teams in the Pacific Coast League. The OKC Dodgers host their 2018 home opener April 10 vs. Round Rock to begin a seven-game homestand. Group tickets and season ticket packages are currently on sale, with single-game tickets on sale beginning March 21. For more information, please call (405) 218-1000 or visit okcdodgers.com.